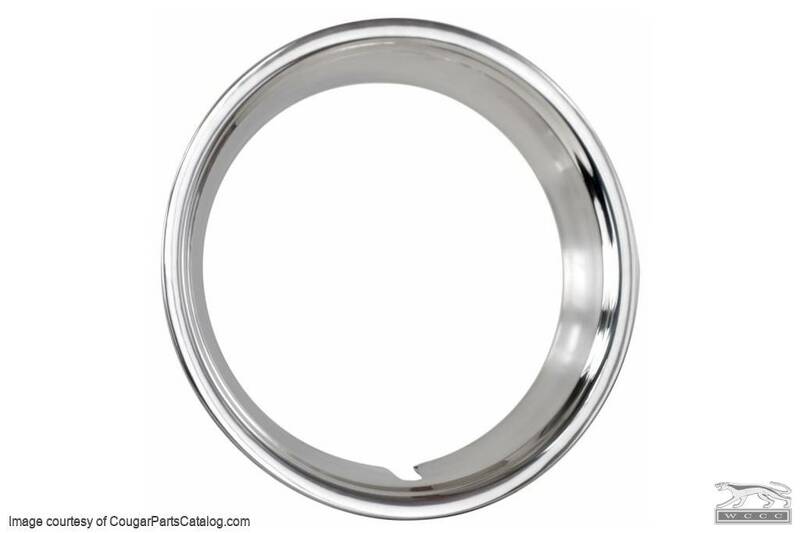 This trim ring will fit any "14 67-70 Cougar Styled Steel wheel even though the width originally varied from 1.75" in 67 to 2" in 68-70. This ring measures exactly 2" high and has the correct bevel like original. The hue is not as bright as original and it is polished not brushed like the 68 used. Good, tight fit, best of the 4 different makes you will see advertised around the country. Excellent quality, however, only Four Stars for correctness as they are not an exact reproduction !/4 inch narrower than factory trim rings. They look great to anyone but a purist!.